We hold auditions every year in London, usually in June/July, and are always looking for new actors as our team expands. If you are a young native English speaking actor who shines at comedy and is a true team player, we very well may be interested in you. Is a genuine team player and understands fundamentally that in an excellent theatre company each person’s ego is always vested in the collective. Has a genuine interest in touring around Europe, is curious to see new things, to meet new challenges, and chooses to have a positive attitude. 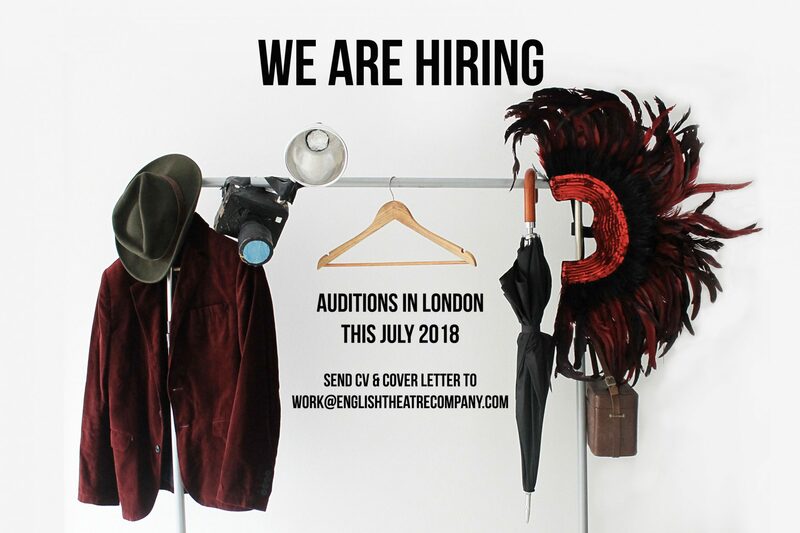 If you’re interested in working with us, please send us a current CV and a recent photo to work@englishtheatrecompany.com and we’ll send you back further details of when we are next auditioning. We’ll also send you a FAQ sheet with terms, conditions and full info on how we work.